emyark, 一夕花开，缤纷两帝。: new peace in praying, praying for my new marriage. new peace in praying, praying for my new marriage. the journey from my hometown, Zhudajiu, to Qiqihar, where baby son, warrenzh, lives with his mom, emakingir, cost me 3 days. ticket was bought by the sinful nephew who hated me for a long time against the glory my family shines. i had to accept the slowest train. its my first time seeing the new train station of Wuchang, one section of Wuhan. the waiting hall quite jammed, but i met a woman foreigner&exchanged some words. on the train i chatted with quite some interesting people, including some kids from Hunan Prov., a disgusting squad from Xiaogan, Hubei Prov., a cute kid girl from Hebei Prov., and a wine vendor who migrated from Qiqihar to Hebei for more than 10 years. near Harbin, 6 or 7 Muslim from Pakistani aboard, some of them play hide-and-seek with neighbor Chinese boys. i was touched by the kindness, so lately join them&discussed bible with them in English. with the holy shines over me, i caught in the last minute&aboard the train to Qiqihar from Harbin. a tall girl stood against the corridor greatly enchanted me, we gazed to each other for quite some time, and the holy bliss, with drizzle outside, enlightened most of the lounge. i followed the girl after we left the railway station, and told her my Chinese name before we departed. how i missing her, who should marry me now as my second Chinese wife. gathering with baby son was a saint moment. he refused to receive me when i knock out his mom's door. after i bathed in public bathroom he picked me and played with me. he beat me with his shoe for quite some time till his mom halted him. i lingered in his mom's house for a week, neither office nor public presence. baby still arranged by his mom to attending his kindergarten. we gamed on pc for quite some hours. i promised him if his mom don't drive me away, i will stay till seeing he sleep alone in his room, instead of sleep with his mom now in his room, and shower with me in public bathroom. i also make it clear to his mom, emakingir, that we r free of any obligation with each other. i told her i would like to live in dorm as soon as baby sleeps on his own, while at this stage she didn't grant baby sleeping apart from her. baby son always has the best idea. last Saturday he suggested family haunting Lun river, which a half of hour bus from his mom's house. and i long time since return from my hometown journey suggested letting me treat baby son with his favorite restaurant. baby likes buffet as usual. ema arranged it around 2pm in Sunday. its really a bright tour, we babbled a lot on the bus, waved lots of bubbles in the river Lun, shot lots of wonderful photos in the river. and when ema felt hungry, baby narrowly agreed to leave, with the promise we will return there next week. in buffet i completed my dinner soon, while ema prolonged the pleasure as her best. the coffee really nice, arrest both of the adult in the family. God sees. now i first time enjoy surfing under my account since the tour back to Qiqihar. surely brighter the sky above me and my Royal of China. God brings me back.^prepared recent photos for posting in early morning. then elder brother informed the Internet account again resumed by its subscriber. retouched logo for site zhuson.com, for original design's source file missing within my backup. the sister-in-law join the CCP's party&asked mother went over to help her caring her grandson. Watched TV after lunch&dozed awhile, then had the idea to return Qiqihar, now that the heat here a bit daunts me. God arranged it all right. informed baby's mom, emakingir. also asked elder brother to speed up to find me a Internet solution for a week when i can search traffic&ticket information to back to Qiqihar. its the most strong sunshine today in my this hometown journey. dreamed of dispute with ema over baby's custody.^dreamed of touching love with baby. his mom attempted to dispare us, and accused of my mental disorder history. 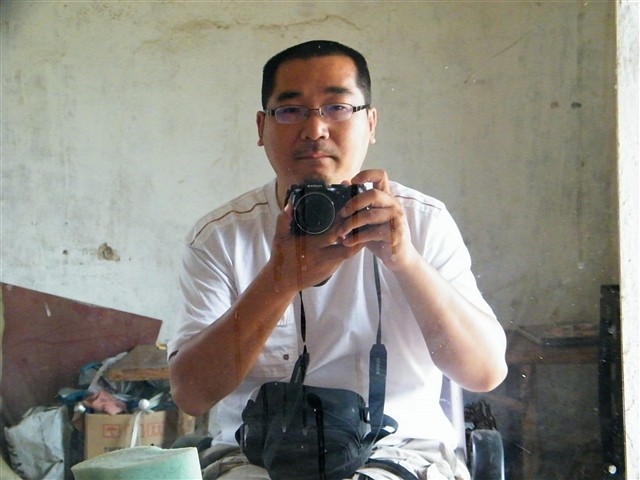 walked through a neighbor factory with seemingly another man, baby son or other person let me unease, where workers gathered discussing my situation. passed their rest room&woke up before leaving the room. roughly setup family 3rd domain, zhuson.com.^got up earlier, lauched soon newly claimed domain, zhuson.com's site content on registrar's free host, as well as Google apps for it. remapping url for blog,www, etc. roughly clone family 1st domain, be21zh.org's content to the new site. claimed groups with vodpod with family most namespaces. backup bookmarks&settings for portable. quite fruitful this morning, which is sunny. a rich dinner, brewing pork with corn.^attending d/l most day. quit near 5pm&felt hungry. dinner quite rich, corn is very sweet&juicy. it rained late afternoon but stopped after dinner. hope baby&his mom can come over to taste delicacy here. most night reading. enjoy&suffer for d/l.^got up≤t d/l, then napped again till breakfast. read most day. in late afternoon prepared content for new domain, zhuson.com, but disappointing logo's source file evaded among my backup. it drizzled in afternoon but last no more than an hour. backup stuff from web. sunburn awhile, talking with Masheng on busy≤isure. hope i can make time more meaningful. a rich dinner&video chat.^haunted outside before dinner. again walked alone the road connecting the village. i really missing baby son&hope he visit here next month, God, u know. drank at dinner, among neighbor's female watching. it drizzled then. watched awhile TV, then chatted with baby&his mom online. i sure will see their journey in end of July to dad's hometown. finally got haircut.^mother woke me up to go haircut. she said she met a guy who last dusk promised to send me to market to haircut. prepared&went to see those motor drivers. the guy was absent in his new house, while elder brother, who also has a motor, repairing a phone. the youngest son of the dark house in front of my dad's house, ready to leave for his workshop, so he fetched me≤ft me on the only barbershop on his way. but i waited for almost an hour before the barber arrival. i shot photos before&after haircut, felt glad. washed hairs at home before breakfast. now surfing. its cloudy now. mother bought pork.^read most day. arranged more to d/l. dozed twice. its sultry&drizzled in late afternoon. mother trusted the cousin back of dad's house to bought pork from city, for he owns a truck&commutes. dinner is delicious with pork&kelp. a talkative night.^watched TV while attending d/l. sms sally as God lets. chatted with baby&his mom,who want to try qq games. i warned her the risk&sin of domestic warez, introducedfacebook's plan to join China&persuade her be patient. also teased baby son. ---so strong the claim. that's the superb of constitution, and the reason of human. that's bible that saves the world sometimes so dark in history and coming eras, as well as new land in never seen glroy. backup baby's anniversary photos on sohu blog to other blogs.^attending d/l most time when i read. a nephew returned from his college in Wuhan, visited me, talked about his major. then discussed Chinese society nowadays. i doubting surveillance so quit later&engaged again on web. the devil, neighbor son, visited&trying to talk, left after rebuked. after dinner download photos shot in baby's one year on the earth hosted on sohu blog portal to other blogs, including baby's mom, emakingir's 163 blogs. lingered in waiting room waiting d/l finish. didn't talk to baby for too busy. managed to catch up unreads in greader.^got up earlier for a d/l. read then napped awhile aside desk in front yard. backup stuff from web. supplement yesterday's log&delayed likely by surveillance, which results in periodical unaccessible for some sites. first time in this summer ate water melon. dozed again after lunch while d/l. tried to contact concerned, sms sally, buzzed baby's mom, emakingir, about her vacation. baby again accused my old curses even i can't figure out when i did, but i sworn not in future&sorry for the passed. its a bit funny why baby remembered i cursed him while i only remember holy love&deeds between us. nothing more important than him in my life. arranged haircut tomorrow.^prepared pc to finish d/l a large game. dinner is rich. haunted outside&shot photos for kids in village. fetched wire fork to wind wires bought recently. the state grid worker in village offered the fork, better than i expected. tried to meet elder brother to let him send me next morning to local market to haircut but failed. a guy promised to do it for me. roamed alone the road&chatted with a precast panels producer in his workshop. watched TV after bath&sorted stuff. baby&his mom went outside, returned near 9pm. she promised to talk online but didn't. family baptized in Nen river, enjoy buffet on way home. from benzillar on Vimeo. family showered in weekend at home. baby's kindergarten party just upon his dad's return from hometown journey. 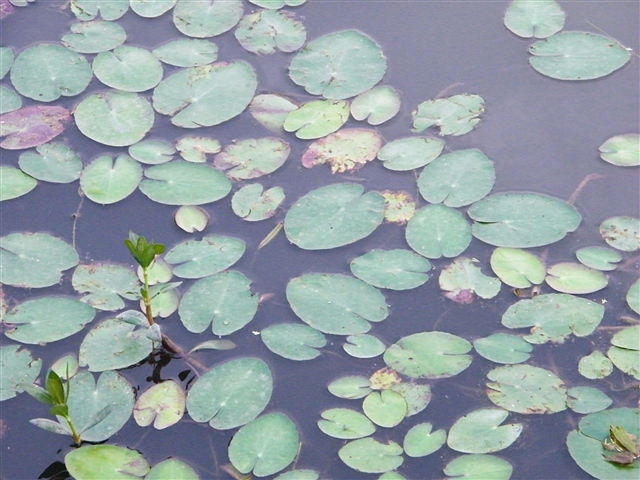 some lily in Zhudajiu's old fish pond. 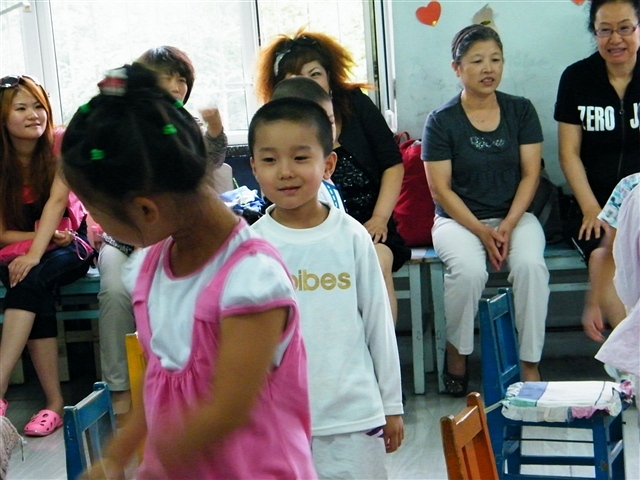 baby son, warrenzh, owner of domain warozhu.com, in his kindergarten's party. benzrad just got haircut in a nearby village in his hometown journey. family dined in KFC after baby son asked for it. panorama of Nen river shore. mean Chinese's fate in light of Holy. sinful copycat smothers China with its monopoly. forever union with baby son, God of Universe.